If your New Year’s Resolution to get organised for the year ahead is already falling by the wayside, maybe you need some hi-tech help. Gone are the days when all you had to hand was a dog-eared diary. Now smart planners have made paper more practical, while apps, smart watches and AI gadgets can help you stay on top of daily tasks in the home and out and about. We’ve picked our favourites to make 2017 the most organised yet. If you love the process of writing to-do lists and planning your day in a paper planner but also appreciate the flexibility of digital diaries, the Slice Planner could be for you. Described as a 'hybrid planning system' it consists of a leather-bound book and accompanying app. Users can plan their working day and make notes on paper using the clock face diagrams designed for efficient time management and see it on their phone. The app uses computer vision and augmented reality to show the contents of the planner on a phone, adding events to a handset's calendar, highlighting diary clashes, managing notes and sharing notebook pages via Dropbox, One Note, Google Drive and more. Organising your family can at times feel like herding cats, but a free app named Cozi promises to make keeping track of everyone easier. It keeps all family members' activities and appointments in one place, syncs with a computer and has room to make and share shopping lists etc. The calendar component gives each family member a colour so it's easy to see if they're busy to a glance, as well as set reminders to prevent missed appointments and organise activities - perfect for helicopter parents. The to-do list section allows users to organise their lists as well as track and share tasks on them, while the Cozi Today screen shows what's going on easily as well as news from a user's account such as new list items and upcoming events. If filling in dates on a wall calendar feels a little last century, a Wi-Fi connected wall display could not only show your up-and-coming appointments but your photos, weather and the latest news as well. The DAKboard is designed to be an always on, zero maintenance, ever-changing display for handy content. Photos can be displayed that are stored on Instagram, Dropbox, Flickr or Google Photos and the smartboard supports calendar syncing with Google Calendar, iCloud Calendar, Facebook and other online calendar services. Unlike with a conventional paper calendar, users can choose how they would like to see their agenda – such as the next few days, month or year. As well as showing the current and upcoming weather, the clever board also displays a choice of to-do lists. It’s claimed to be easy to configure and easy to change features thanks to a phone, or tablet app as well as a laptop. The app Todoist helps you organise and prioritise tasks and projects so you can get more done, with a version for individuals as well as teams at work. The app can be used to dish out tasks, collaborate on work, create multiple shareable to-do lists and keep track of half-done tasks. A basic version of the app is free, but more complex functions require an annual subscription. One of the most intriguing free features is a scheduler that uses AI to pick the perfect deadline for a task. It can do this by analysing different factors with the aim of preventing unrealistic goals – a godsend if you’re a little overambitious. For those wanting to jump on the bullet journal bandwagon, but unwilling to commit all their plans and innermost thoughts to a paper book that can be easily mislaid, Moleskine's smart writing set might be a winner. The 'paper tablet,' smart pen and app work in tandem to digitise notes and sketches made on paper. Text and doodles can then be edited and shared immediately on a phone, tablet or laptop. The set-up works thanks to a pen with a hidden camera inside to trace marks made on the paper which has a clever grid that's invisible to the naked eye with Ncode technology. 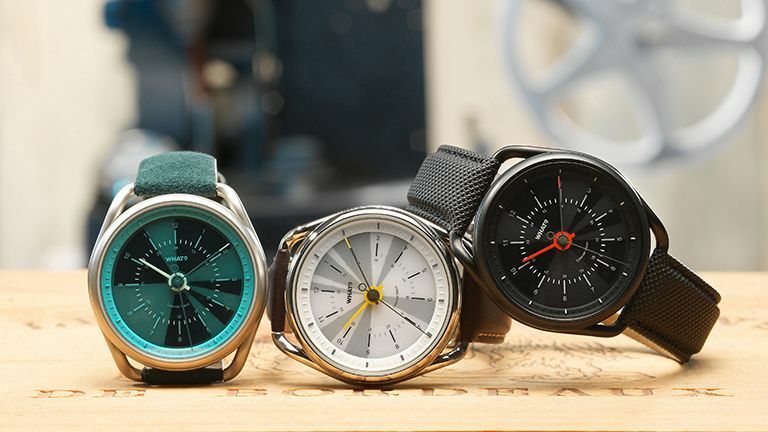 Smartwatches may be all singing or dancing, but the Calender Watch is described as a 'classic watch that connects'. It's an analogue wristwatch that works with a digital calendar, showing when you're busy and free in pie chart form at a glance. Dark segments denote appointments or events, while the lighter ones show recreation time. It pairs with an app that transfers appointments in a phone's calendar with the watch. It has different modes to show the schedule ahead, automatically syncs to the right time when travelling and even notifies a wearer to an impending appointment by vibrating and flashing the relevant segment. The watch comes in a plethora of colours with a wide choice of straps so it can be customised just like a journal. If you love the idea of keeping a journal but putting pen to paper and printing off photos is just too much effort, iOS app Day One Journal could help. It claims to make recording your life a 'simple pleasure,' making it easy to 'capture life as you live it'. Users can insert photos from their iPhone's library and add text, with their location automatically added by the app, as well as the weather and more details if they choose. There's an editing function to tweak the layout of posts and the ability to add tags and extra photos. To relive memories, users can search for terms, browse their timeline or even find entries on a map - ideal for travellers. And for users that really get into it, it's possible to have 10 different journals on the go at once, each a different colour to make life easier. Amazon’s Echo is much more than a Bluetooth speaker, with extra functionality provided by its smart digital assistant Alexa, which responds to queries when users say ‘Alexa,’ followed by a command or query. At launch, the digital PA had Google Calendar integration so it could check a user’s schedule and tell them what’s going on. But it’s now possible to add events to Google Calendar by speaking to the gadget. Users simply need to say ‘Alexa, add an event to my calendar’ or ‘add family dinner to my calendar for Friday 7pm,’ for example.